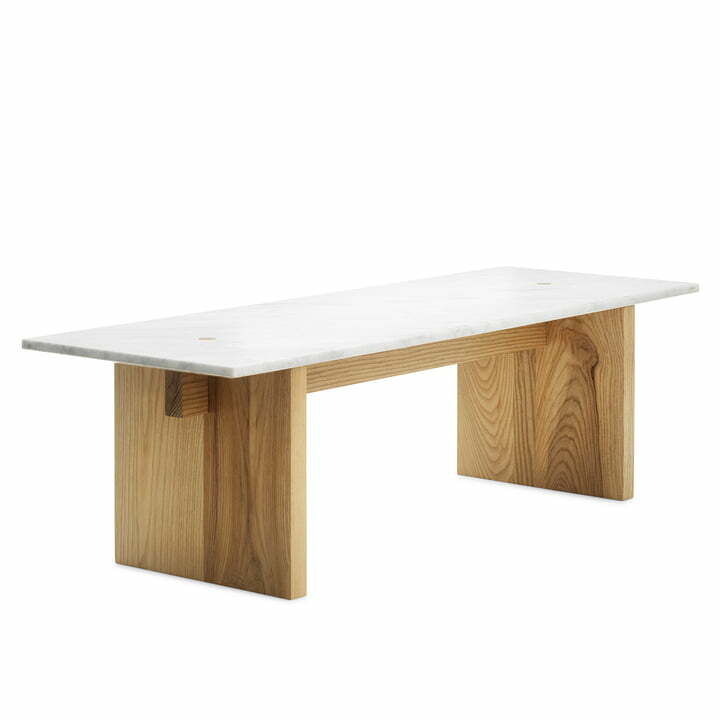 As solid as its name: The Solid couch table consists of solid ash wood and marble. Lars B. Fjetland equipped a simple silhouette with luxurious appearance when he designed the table for Normann Copenhagen. The designer Lars B. Fjetland is considered a advocate to naturalism. 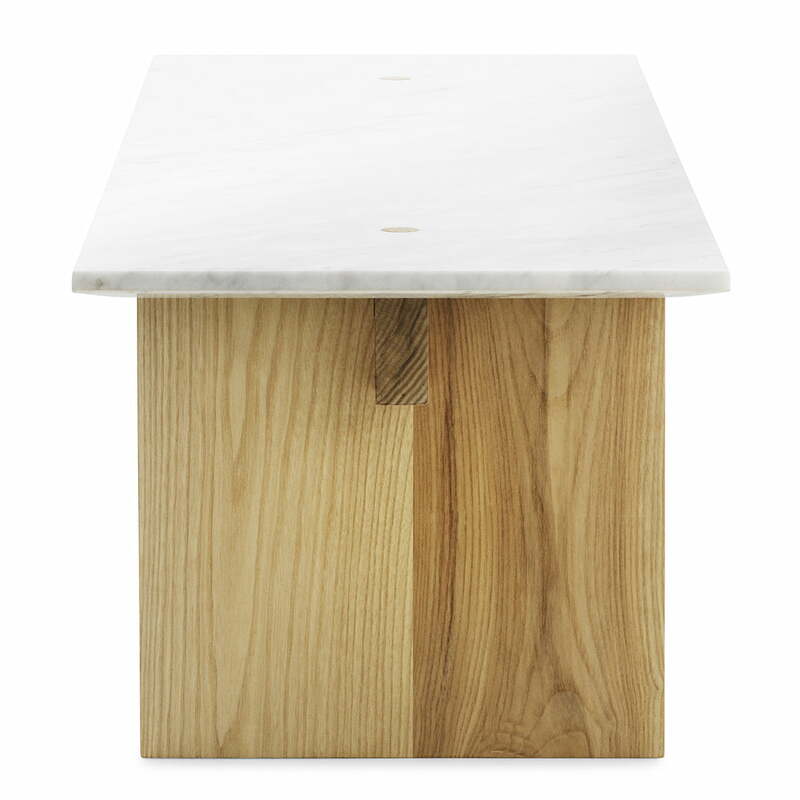 This is proven by the Norwegian with the Solid couch table for Normann Copenhagen, since it is produced without any artificial materials and processing methods. 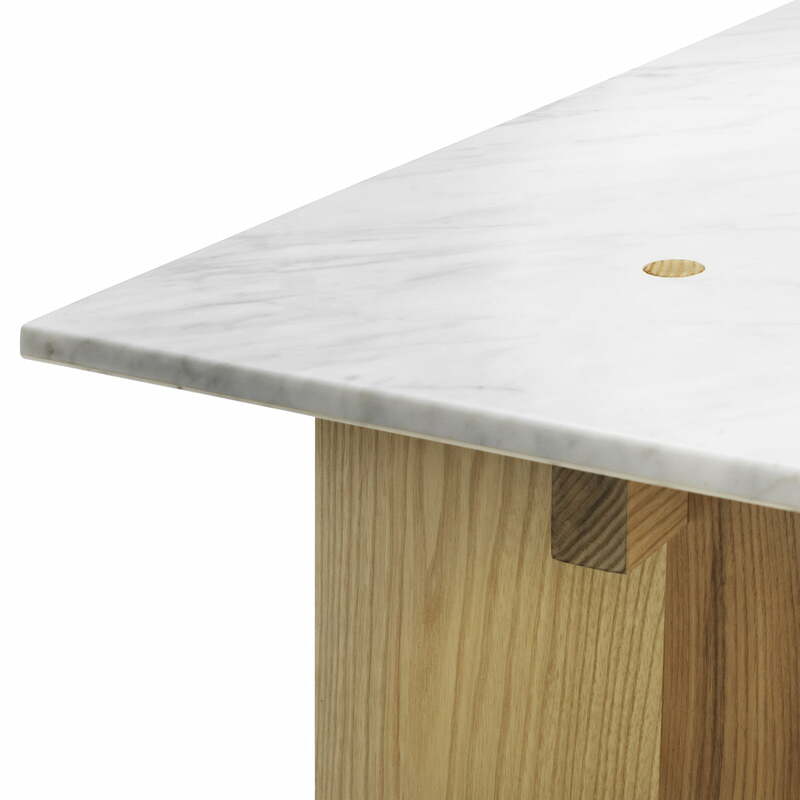 The minimalist table unifies the clearness of Scandinavian handicraft with the principles of Japanese architecture. 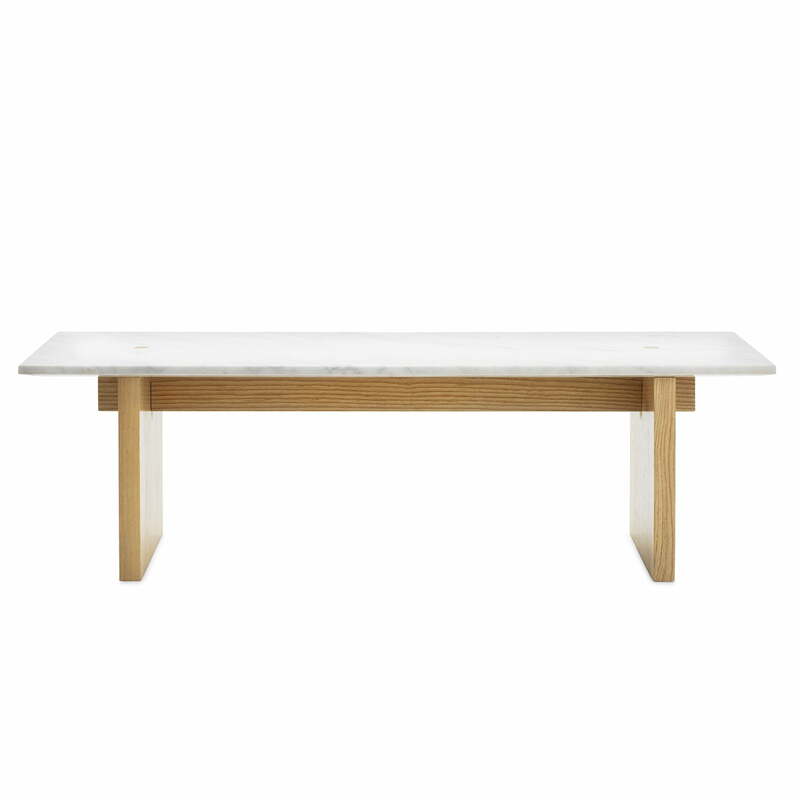 The Solid by Normann Copenhagen renounces unnecessary details as a timeless and strong couch table. 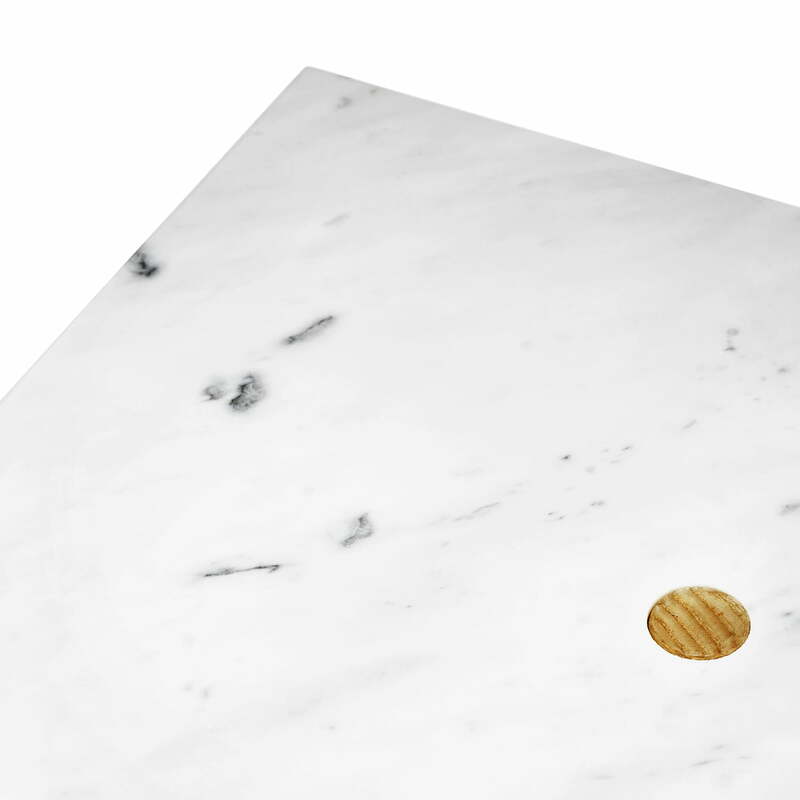 The Norwegian ash wood, the table is made of, remains resistant without any adhesives or screws: The legs are simply plugged and stabilized by themselves with the weight of the marble top. Solid by Normann Copenhagen is a harmonious, luxurious product because of the used materials, which shines with simple Nordic charisma.